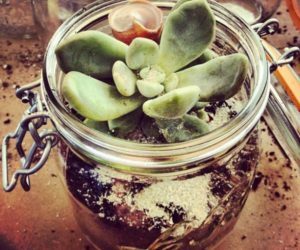 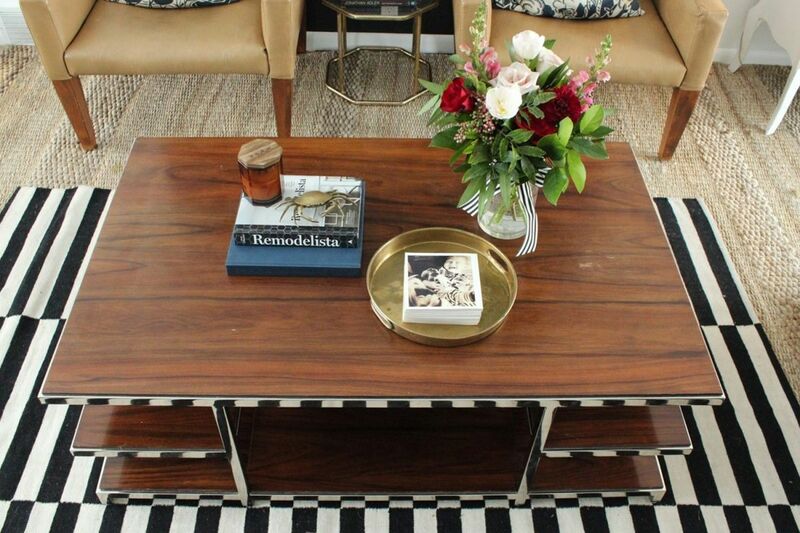 Are you looking for ways to style your coffee table? 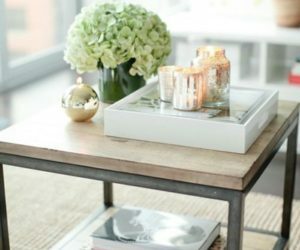 With a glance or two at almost any home décor magazine, website, book, or blog, you’re likely to see gorgeously staged spaces. 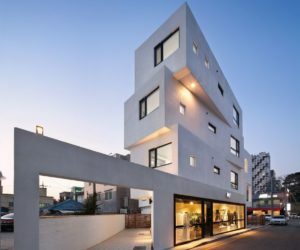 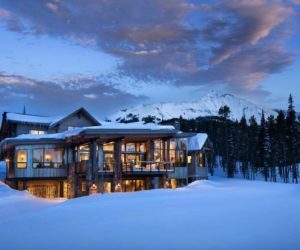 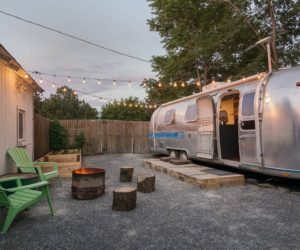 While these spaces look photographically perfect, however, they can lean toward impractical, or even unattainable, in real life. 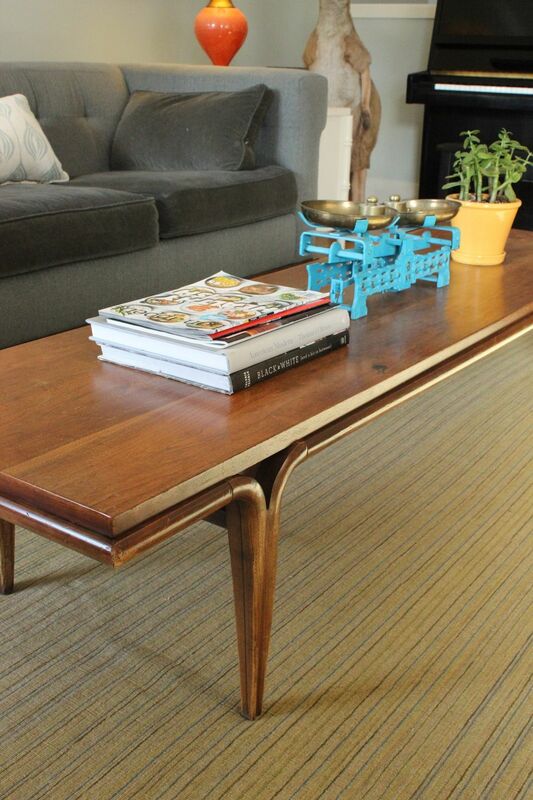 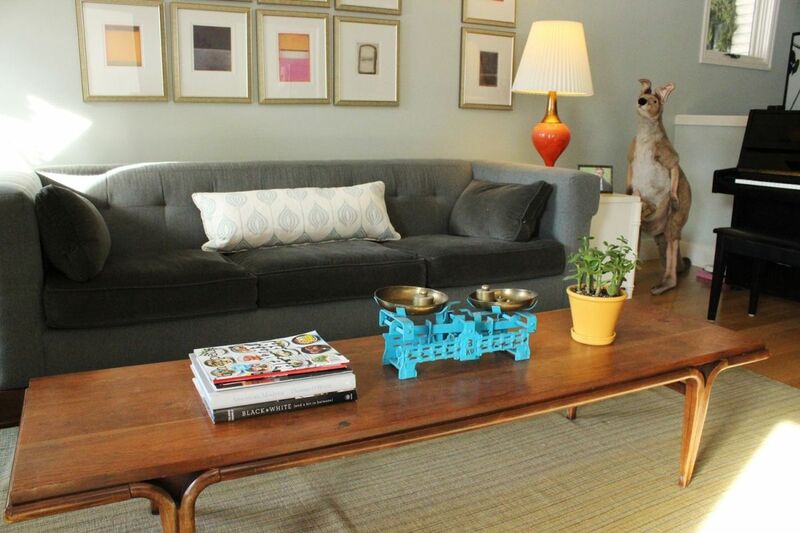 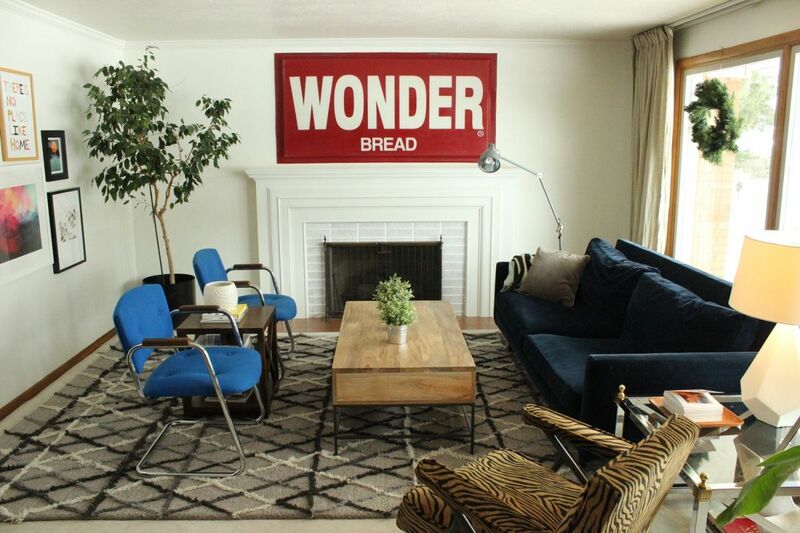 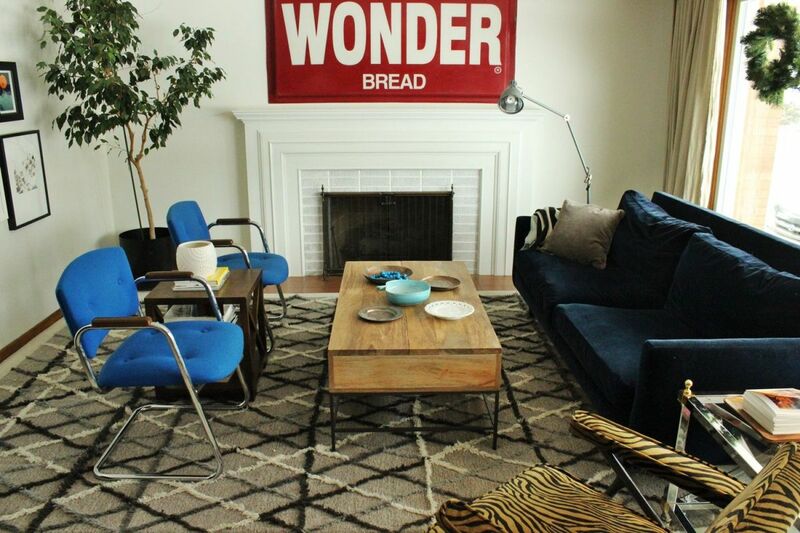 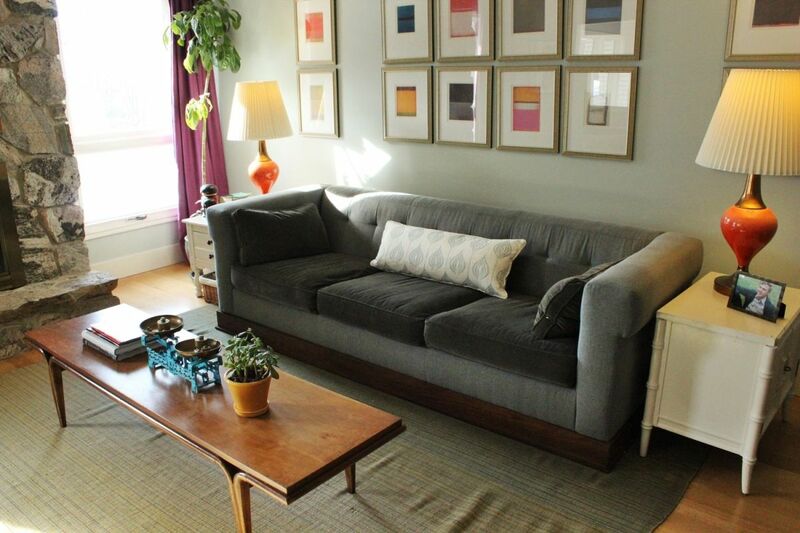 Take a magazine-worthy, perfectly styled coffee table in a living room photo, for example. 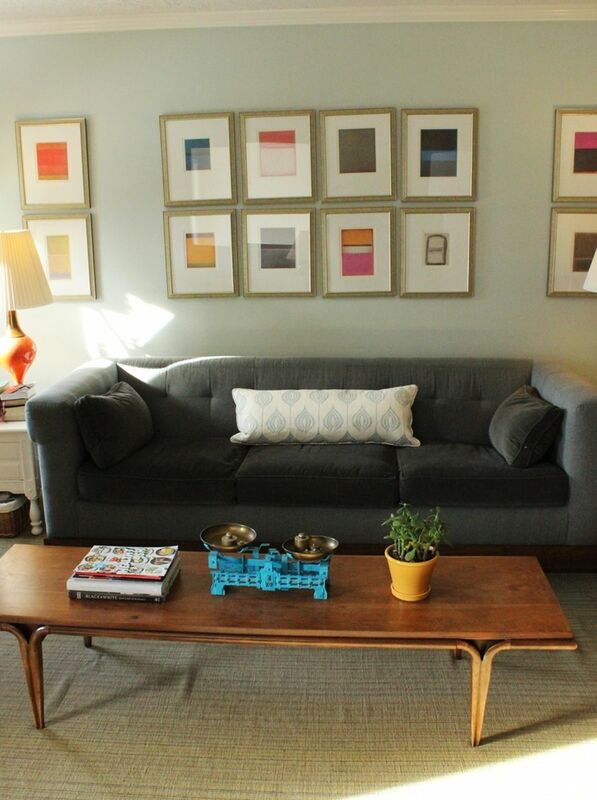 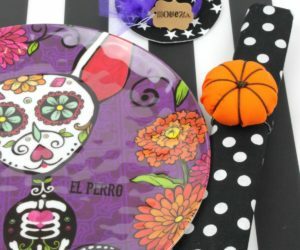 These pieces look fantastic covered in carefully arranged stacks of color-coordinated magazines and evenly dispersed glass apothecaries of varied, aesthetically appealing, heights. 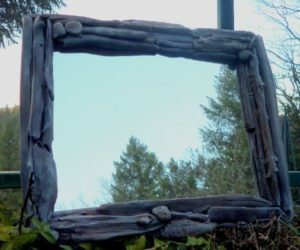 But what happens when a toddler wanders by? 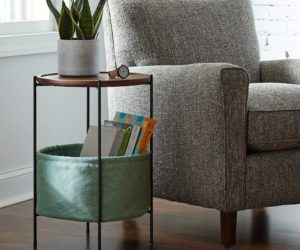 Or a pre-teen needs an impromptu study space? 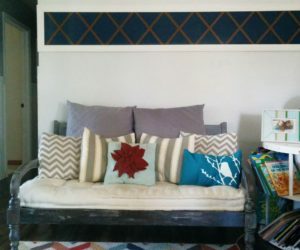 Or a teenager wants to hang out with friends (and the accompanying soda, popcorn, and goodies tray)? 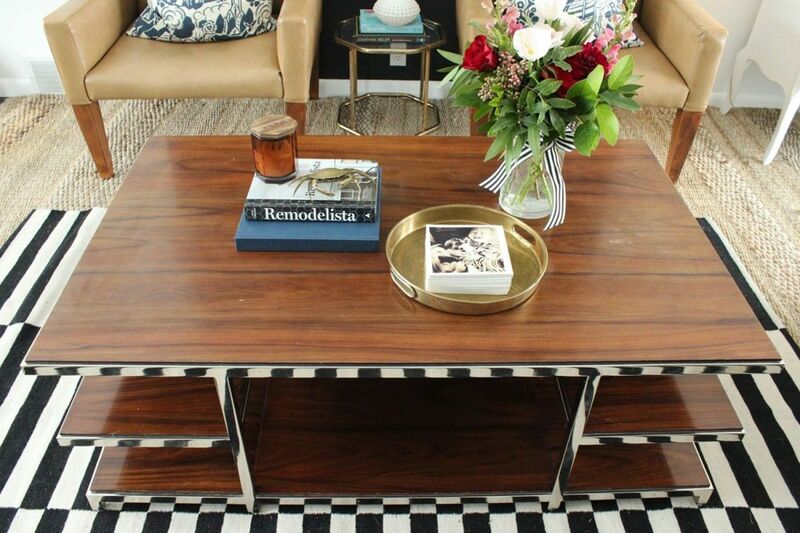 Those magazine-worthy coffee tables won’t work. 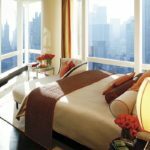 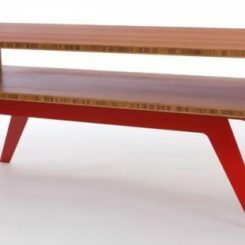 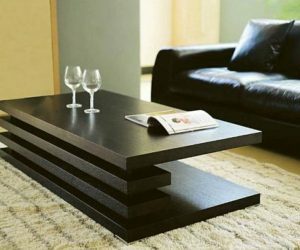 In this article, the goal is to present four different realistic coffee table styles that meet the needs of the resident family while maintaining a sense of harmony with the surrounding living room’s style. 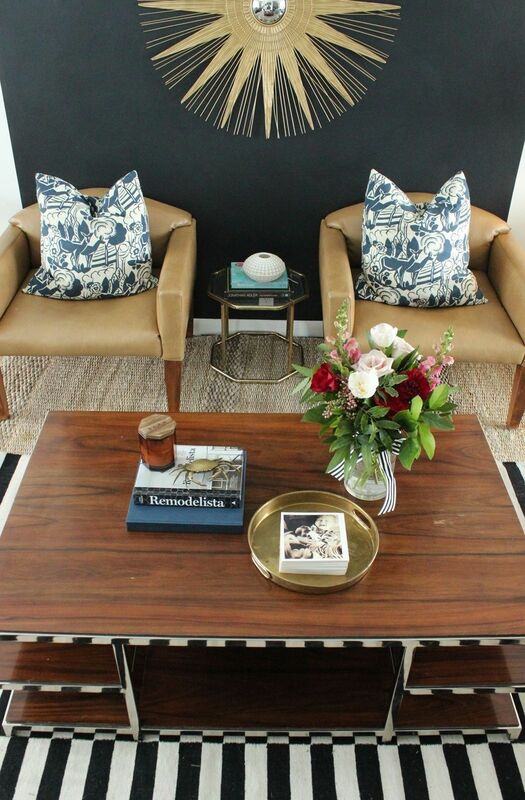 We hope you find inspiration in the simple, the well-edited, and the practical nature of these coffee tables as you gather more ideas for how to style a coffee table in your own beautiful space. 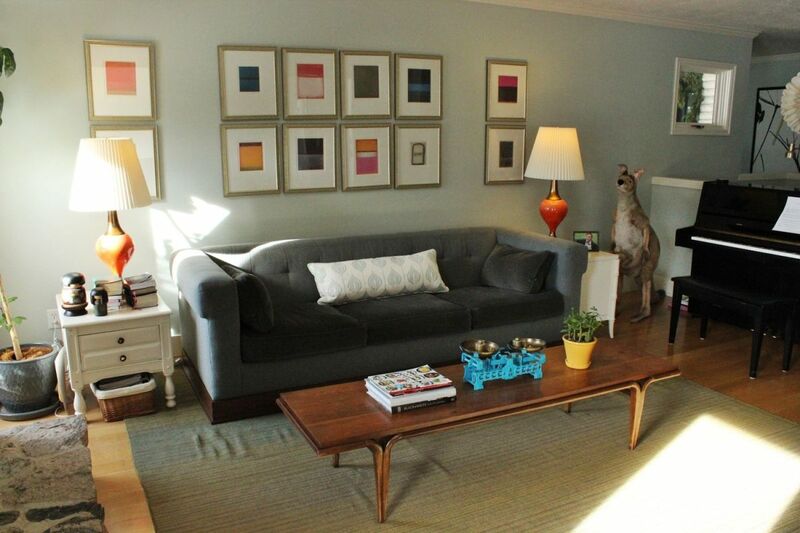 This coffee table style actually represents, according to the homeowner, “grandma vintage modern with a hint of ugly.” Plenty of natural light enters this living room from opposite walls, making the large, heavy wood coffee table a great option. 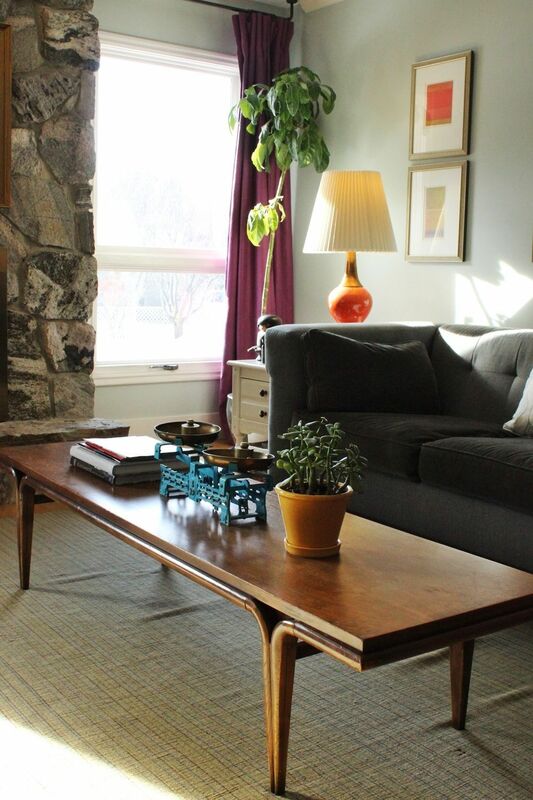 The coffee table’s large size might serve as tempting real estate for major décor, but the homeowner keeps it simple by leaving plenty of empty shelving. 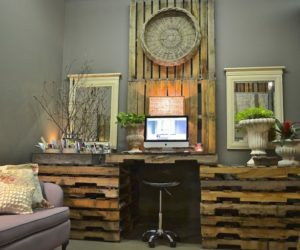 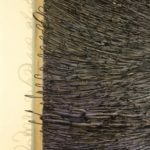 This reads as aesthetic “white space” despite the darker wood color and provides balance. 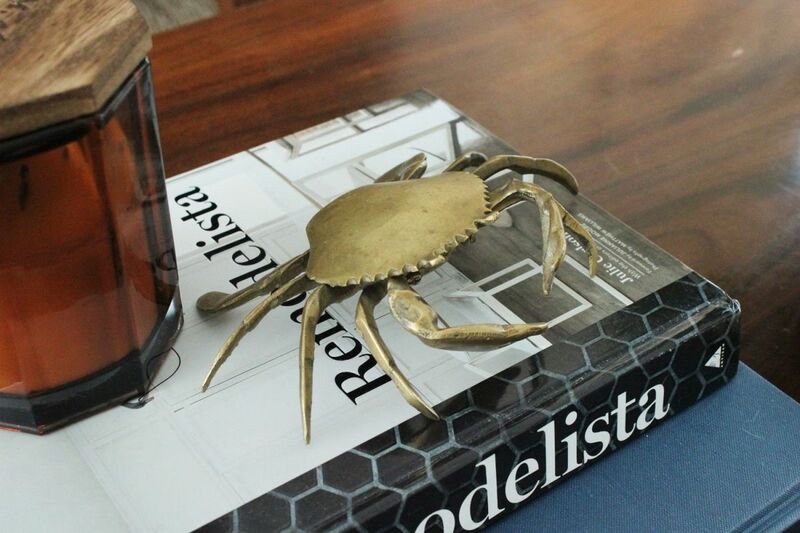 A brass crab provides a subtle contrast to the chunky table. 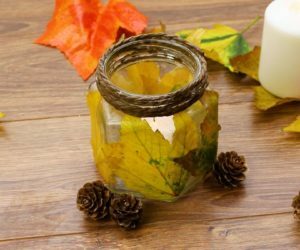 A whiskey-scented candle in an octagonal glass container is simple yet unique. 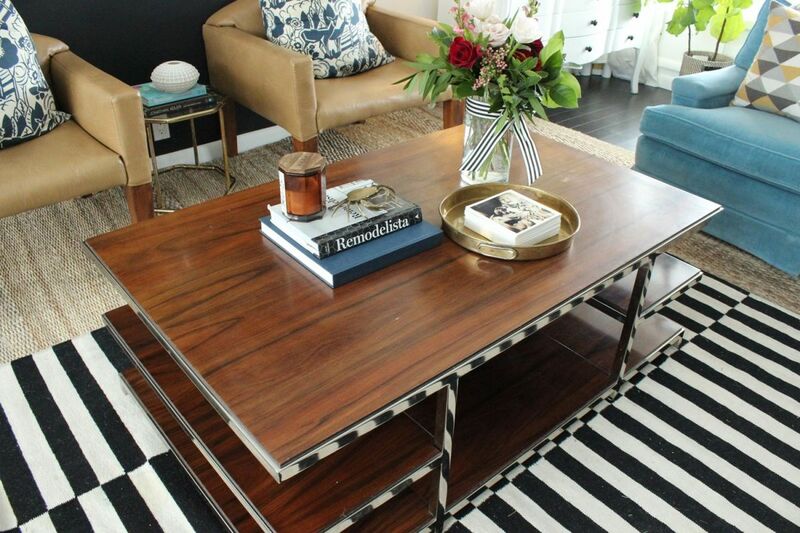 It also unifies the wood of the coffee table with the shinier metallics. 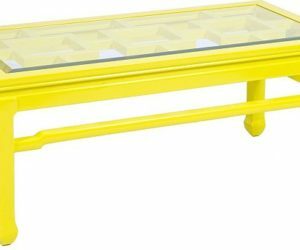 With three young children (including a 1-year-old) and a dog and cat in the mix, this coffee table has to be kid-proof. 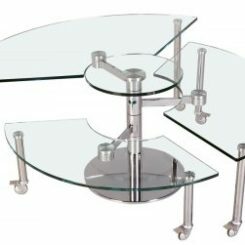 Any décor pieces are kept toward the center of the coffee table, making smaller hands less likely to accidentally wreak havoc. 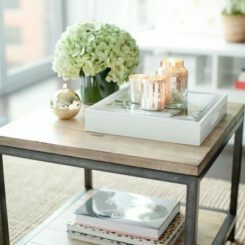 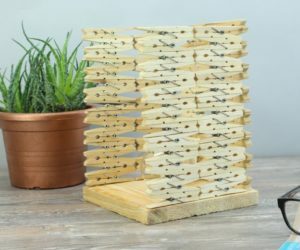 Incorporating a variety of heights, even with simple, everyday objects, is a great way to bring visual interest to a coffee table while still maintaining its practicality. 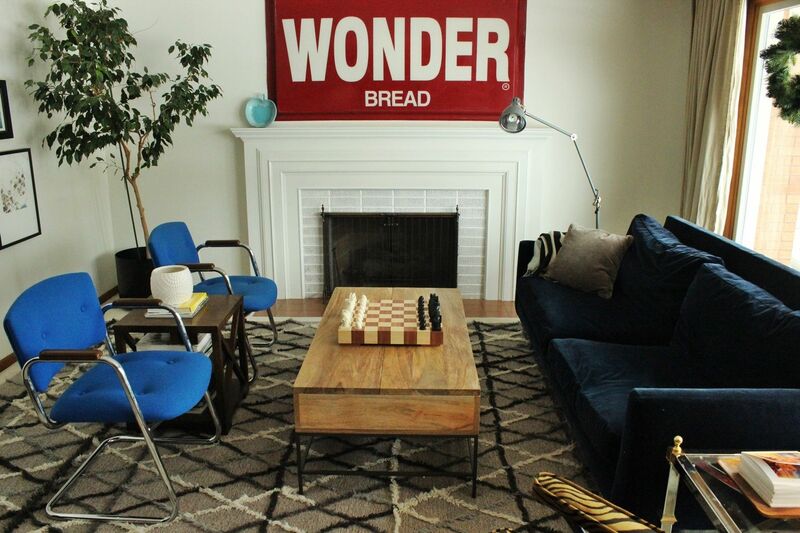 This eclectic living room, as its name implies, merges styles and pieces from all over the design sphere in a fresh, soft, contemporary way. 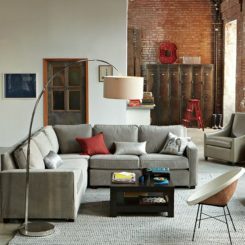 Keeping the space light and bright is key to bringing so many different components together and helping them make sense together. 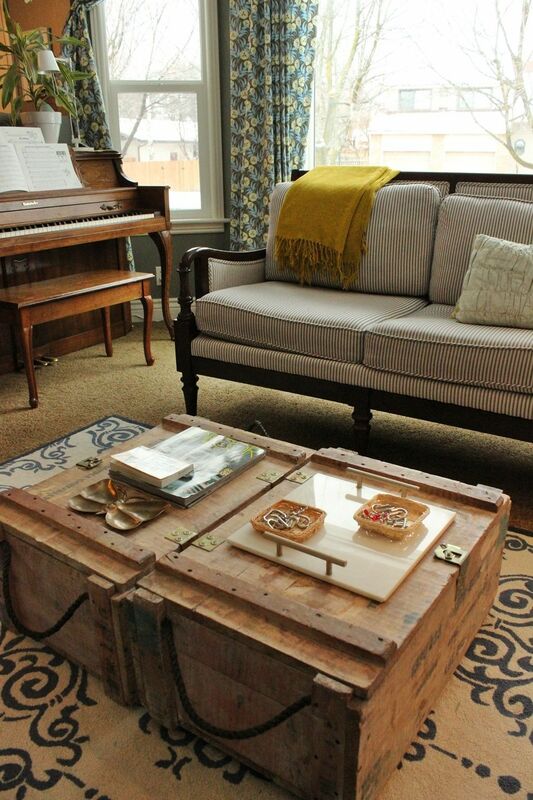 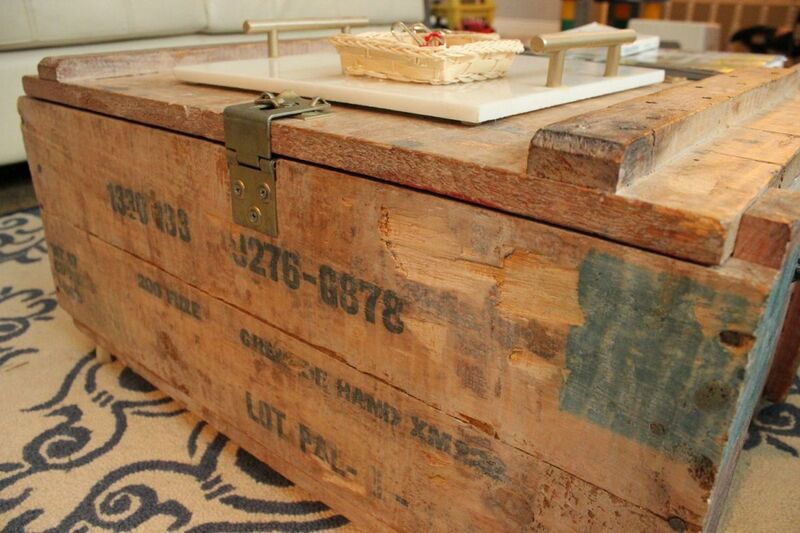 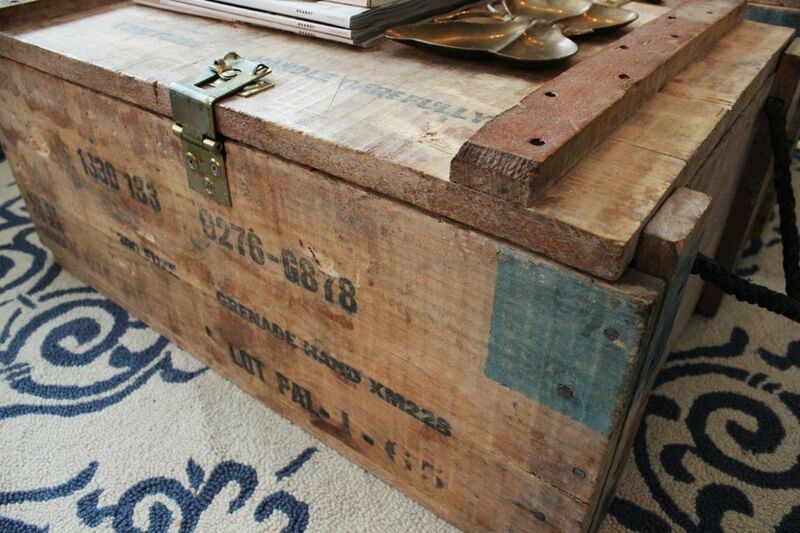 This “coffee table” is actually two vintage wooden grenade boxes, passed onto the homeowner by her grandmother. 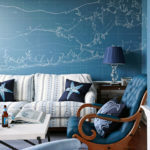 Their perfect imperfection, including chipped wood, exposed nails, and exterior stenciled and painted markings, is quite charming in an eclectic space. 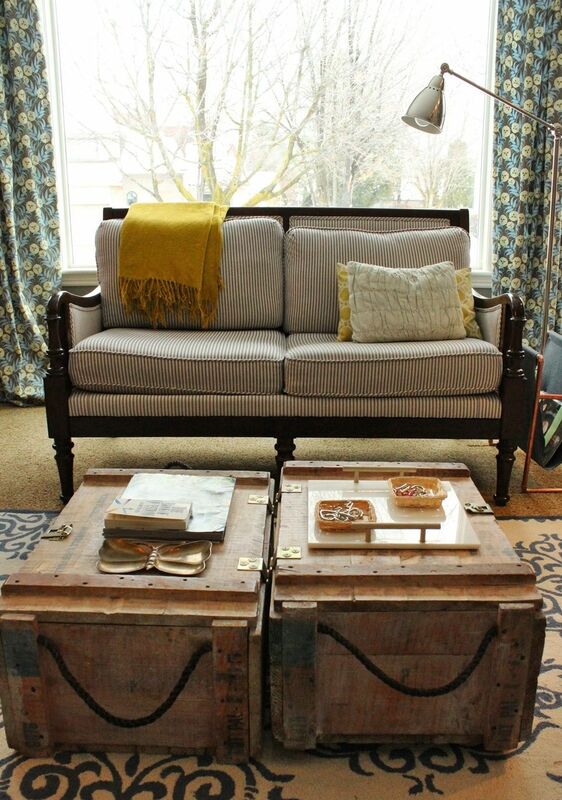 Trunks provide great storage for the living room while they double as a coffee table. 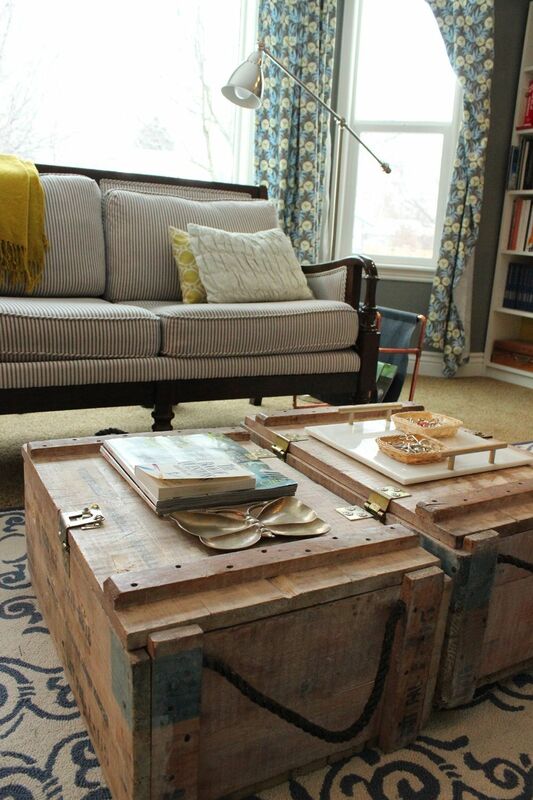 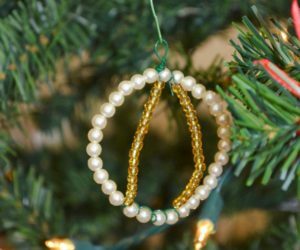 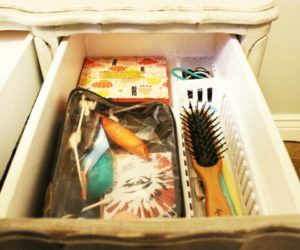 These two trunks, for example, stylishly hide dress-up clothes for the home’s child population (five young kids plus friends) and seasonal living room décor. 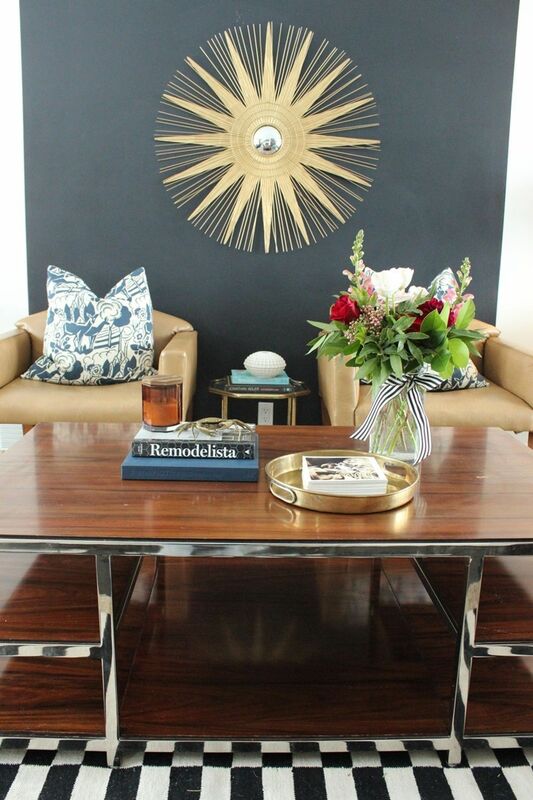 A glossy marble tile tray (make one yourself following this tutorial) is a simple way to elevate the sophistication of a chippy vintage wood piece. 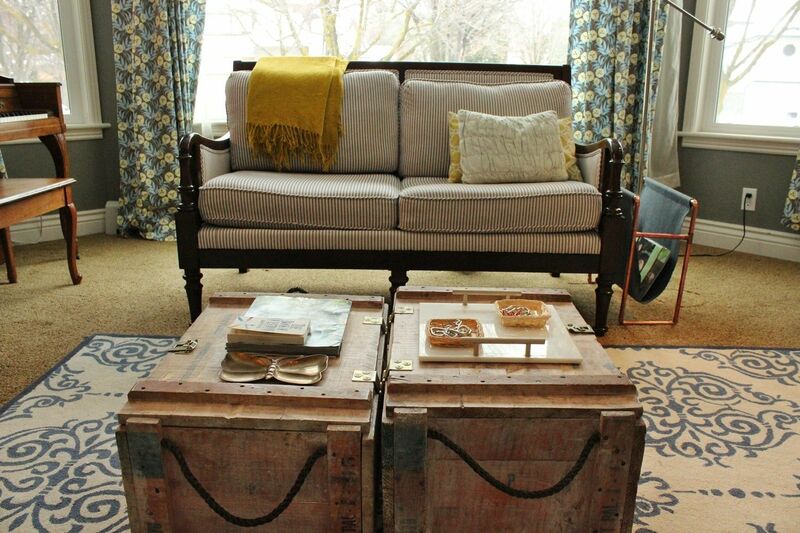 One benefit of having a coffee table made out of two pieces is the flexibility in positioning. 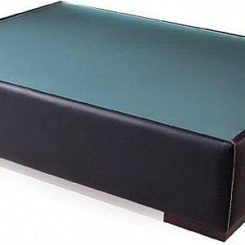 These trunks can be separated, aligned vertically, or easily pushed out of the center of the room for additional seating or work surfaces. 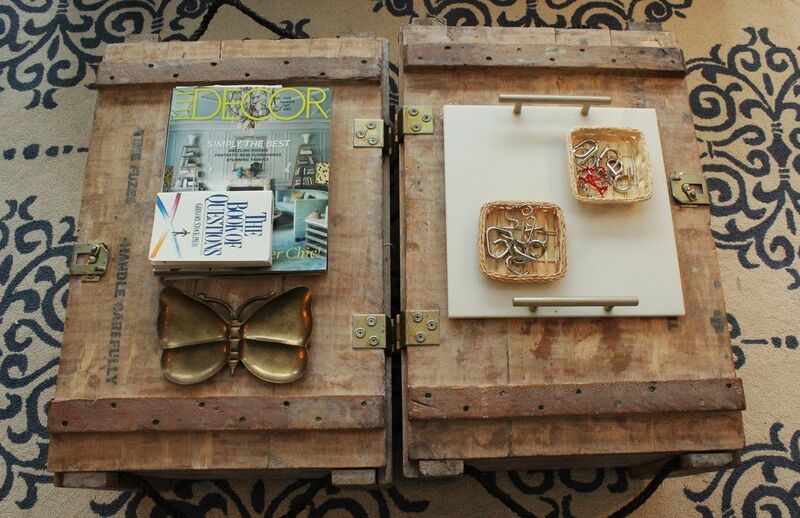 As for the contents of the coffee table itself, they are kid-friendly: a bit of easy-to-browse reading via magazines and “The Book of Questions,” some brain-twister games in baskets, and a brass butterfly tray because it’s (a) pretty, and (b) indestructible. 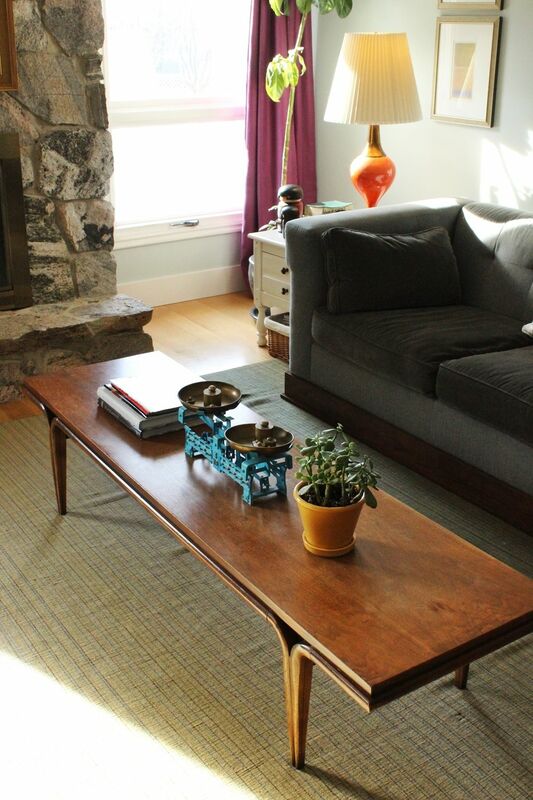 This homeowner keeps her coffee table surface simple (sometimes even keeping it bare), which matches the well-edited aesthetic of her entire living room. 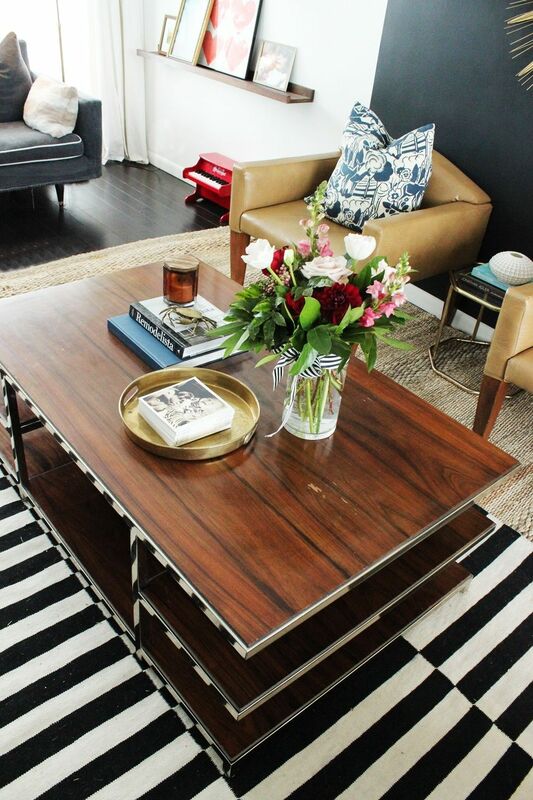 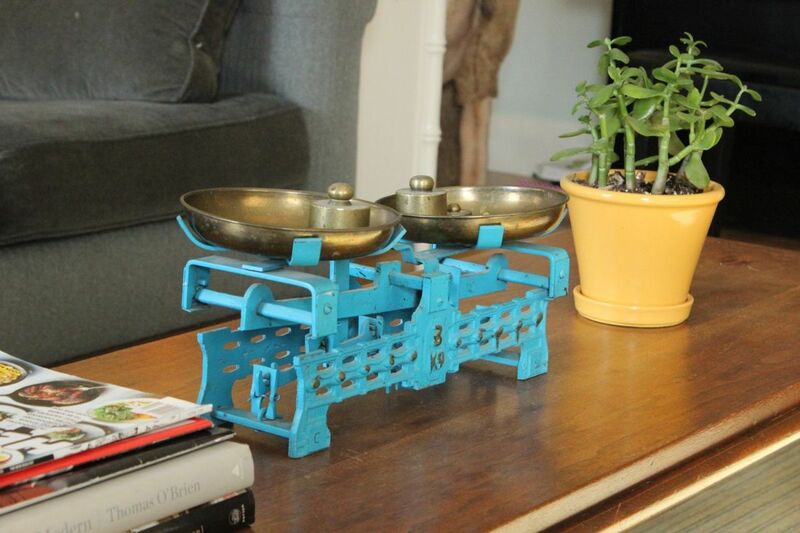 Sometimes she’ll use three aluminum-potted greens in the center of her coffee table. 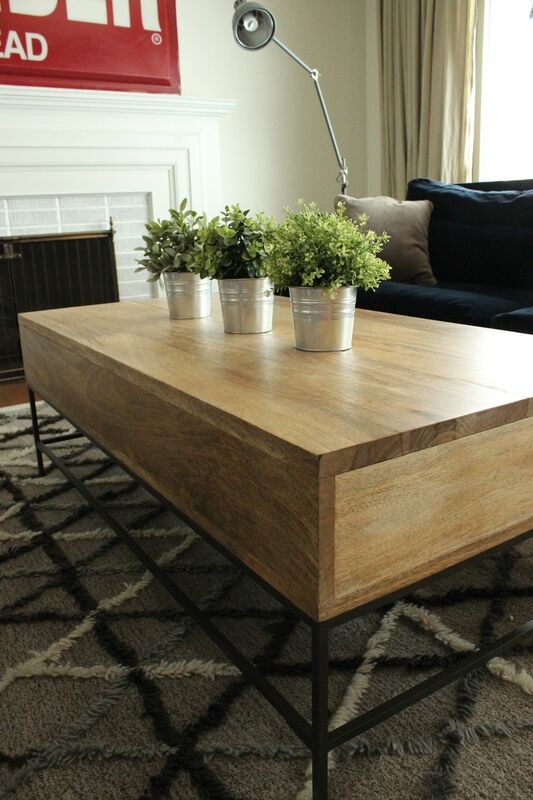 The organic vibe of the plants themselves (whether real or not) complements perfectly the beautiful wood sheen of her modern coffee table. 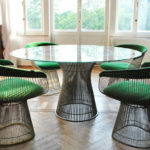 In a living room, where hard angles can reign supreme, throwing some curves onto the top of one’s coffee table might be just the thing to add variety. 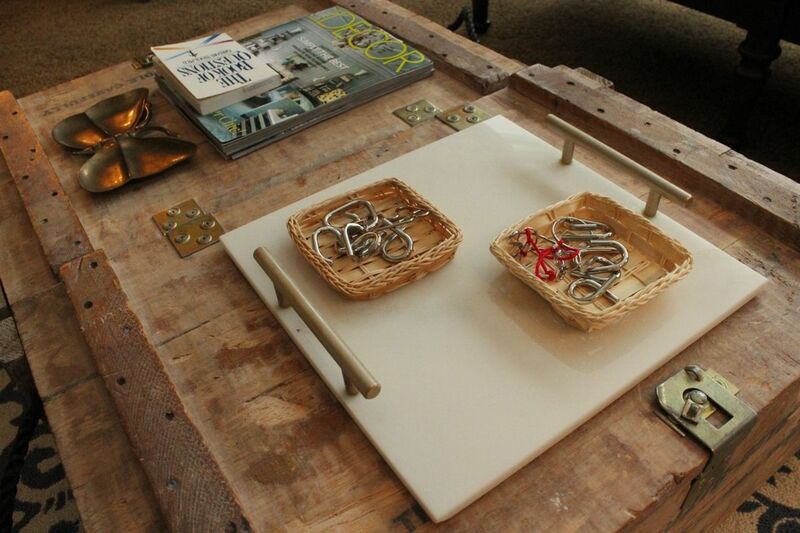 Mixing some plates and ceramics on top of this coffee table, for example, break up the expanse of the tabletop surface without being visually distracting. 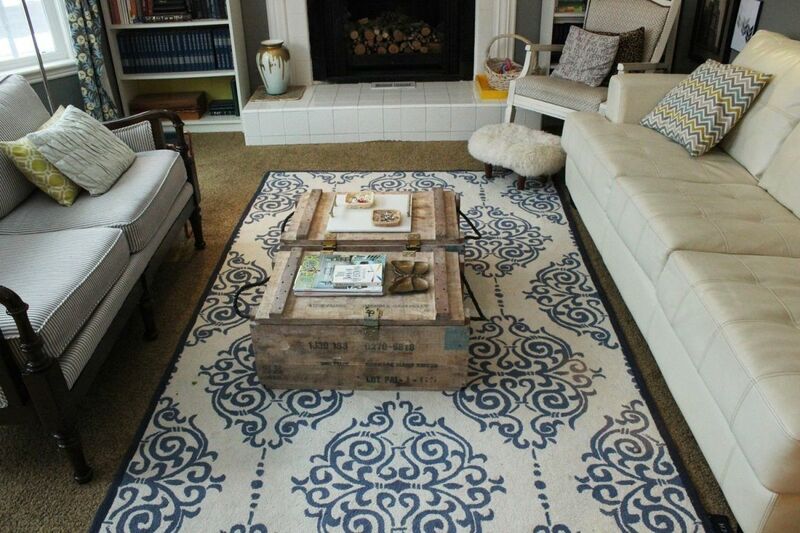 A few shades of blue on the coffee table resonate with the blues in furniture used in the living room. 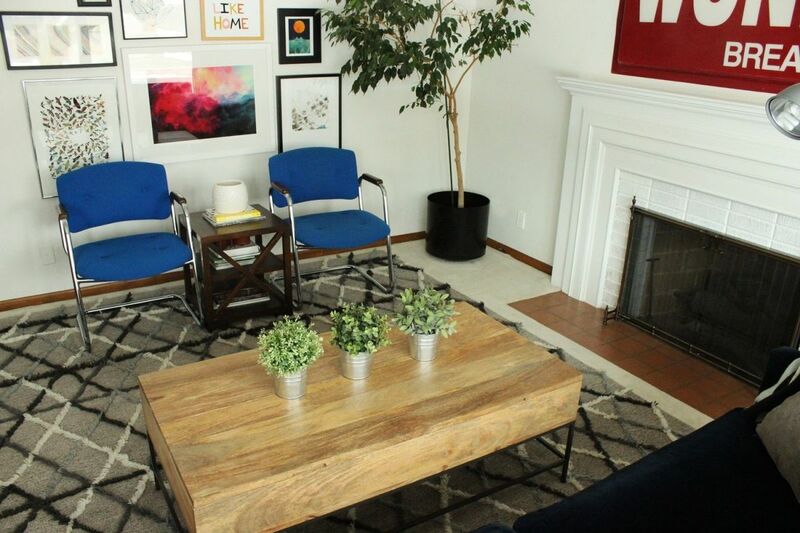 All the elements in this simple yet sophisticated living room work to enhance each other, including the long wooden coffee table. 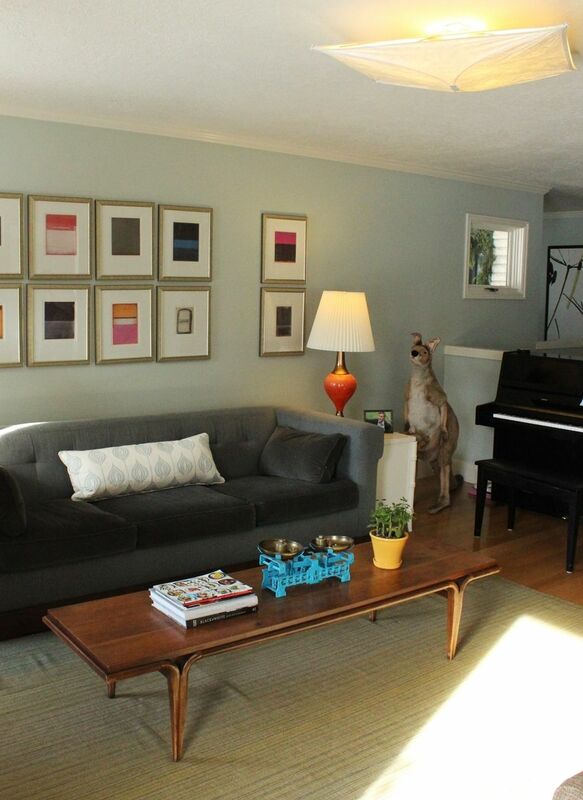 Its mid-century modern vibe works seamlessly with other quirky elements in the living room (like a stuffed kangaroo and joey hanging out in the corner), but the coffee table’s simplicity is directly relatable to the room’s overall style. 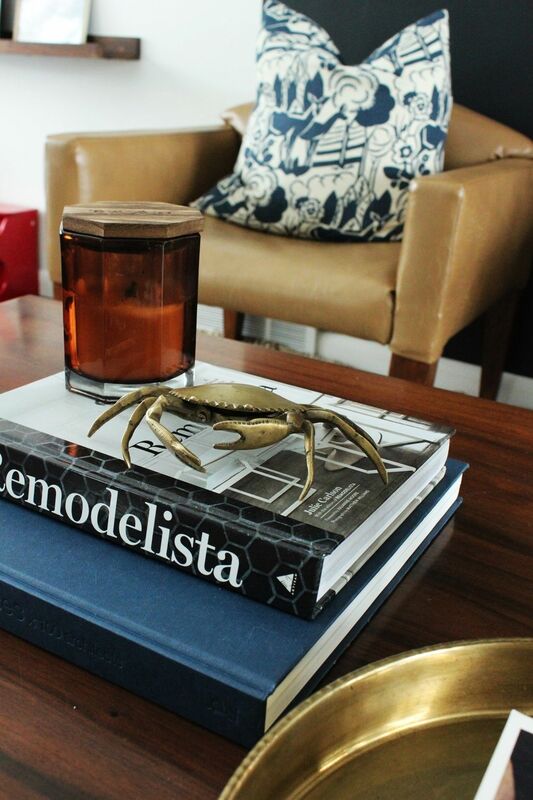 Where well-edited simplicity is present, such as in this living room, the importance of details increases. 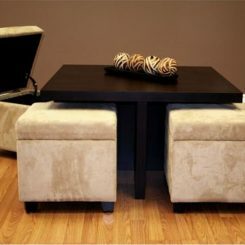 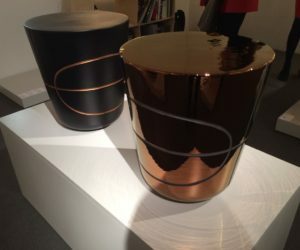 Like these curved coffee table legs, for example, and the long, narrow proportions. 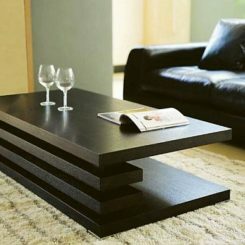 A narrow coffee table lessens its visual presence, which is important in keeping a living room (with multiple larger components, such as a fireplace, sofa, and piano) balanced. 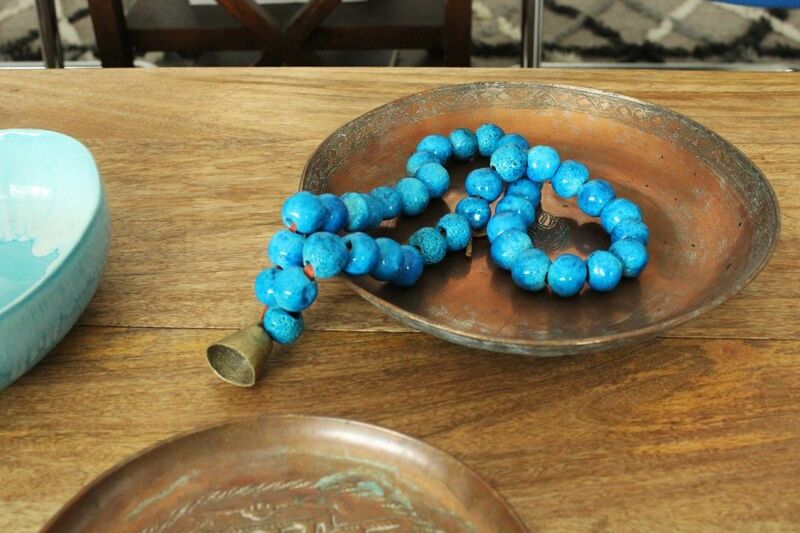 Colorful pieces, such as this authentic aqua scale from Iran and a bold yellow potted rubber plant, require no other “décor” to make their statement. 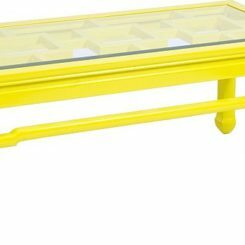 In a home where mostly teenage children reside, a sturdy coffee table with enough space to set a mug and a book is a priority.